Whether it’s a majestic cliffside estate overlooking the sea, a peaceful countryside haven secluded in scrubland or a green oasis in the heart of a city, celebrated landscape architect Jean Mus’ lavish gardens all display astounding beauty and bear witness to his love of nature. 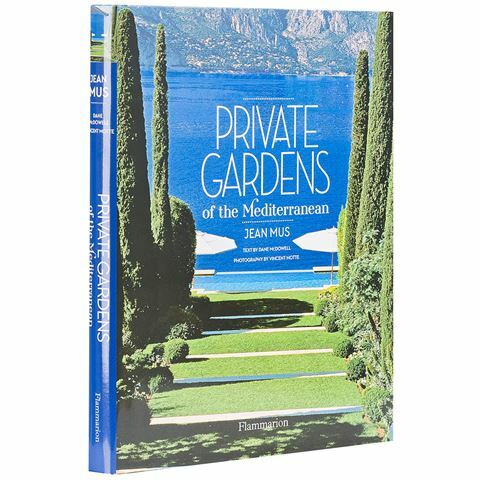 Private Gardens of the Mediterranean takes you on an exclusive tour of nineteen of Mus’ most spectacular private gardens across the Mediterranean, guiding you though the south of France into Greece and Portugal. Jean Mus divulges the stories behind is lavish creations and shares technical and reflective anecdotes, eloquently recounted by Dane McDowell. Explores some of the finest works by celebrated landscape architect Jean Mus. Chapters include: Gardens by the Sea, Country House Gardens, Gardens Under the Influence, Intimate Gardens and Gardens of the Senses. Provides a technical insight into Mus’ work process. Begins with a preface by Jean Mus. Includes an introductory chapter ‘The Birth of a Garden’. Includes addresses of Mus’ favourite suppliers. Acknowledgments at the back of the book. Dimensions: 20cm (l) x 24.5cm (h) x 2.5cm (w).